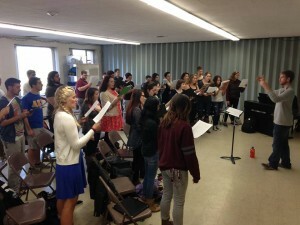 The Recital Choir, a chamber ensemble of 24-28 singers, is comprised of advanced singers, with the purpose of providing conducting pedagogy experiences for conducting students. The Recital Choir performs significant repertoire from all periods, including masterworks with chamber orchestra. 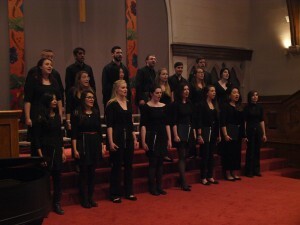 The ensemble serves as the recital chorus for all graduate recitals. If you enjoy singing in a small mixed ensemble, this might be the choir for you. Music majors and minors may take this course as an elective only.